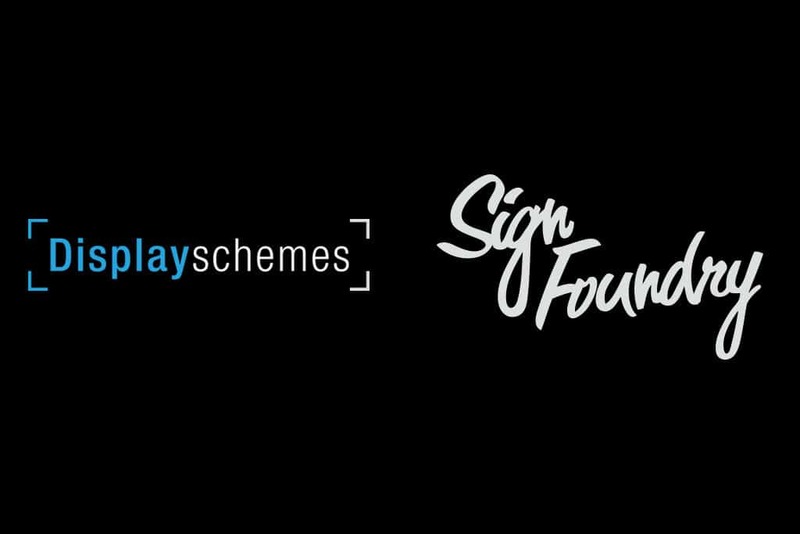 As of 1 August 2018, the ownership of Displayschemes changed hands from Displayschemes Limited to Sign Foundry Wellington Limited. Ultimately, what we hope you’ll find with this change is all the benefits of a larger, full service signage company, combined with the personalised industry leading service you’ve come to know at Displayschemes. Our lead in times have been fairly tight, any advice on time-frames to expect or any adjustment we should make to our approach to lead-ins on projects? As always, as much notice as possible is always appreciated. If you have deadlines set in stone – let us know this at the time of order. We certainly will do everything we can to meet this, otherwise will be very honest from the start if we can’t. Joining Sign Foundry has increased our capabilities with more equipment, production and installation staff. While the business name has changed, the level of service and quality of goods you receive should match what you have come to expect, if not increase. We would sometimes pickup graphics, just thinking logistics; it’s a lot further to Petone, does Sign Foundry have anything to offer in this regard? While the Factory is based in Petone, we work across the wider Wellington region and can do pickup/ drop off’s or can provide next day courier. If it is pickup you require, we are located just off the motorway – around 10mins drive from Wellington Train Station. We will do our best to continue the point of contact you have previously had. If not, we will match you up with someone that has experience in your industry. We like to make things as straight forward as possible. We have a team of skilled craftsmen who take great pride in the work produced and are regarded as the best in the industry (Sign Foundry have picked up a handful of national awards). How will Sign Foundry’s prices compare to Displayschemes? We will honor what quotes have been provided to you (if still valid), moving forward pricing will go through Sign Foundry’s processes, in which we would like to see no great change at your end. Joining forces with the larger company means better buying power and hopefully similar pricing. We want to make the transition as smooth as possible, let us know how we can make this easier for you.